Green gold yellow white. This display of seasonal fruits is to be found on the sidewalk outside my local supermarket, the Giant on Wisconsin Ave. If you can look at that pile of beautiful produce and decorative flora and not murmur something like, “How lucky I am to live in an environment that makes these things easily available to me!” ~ well, then I fear for your soul. 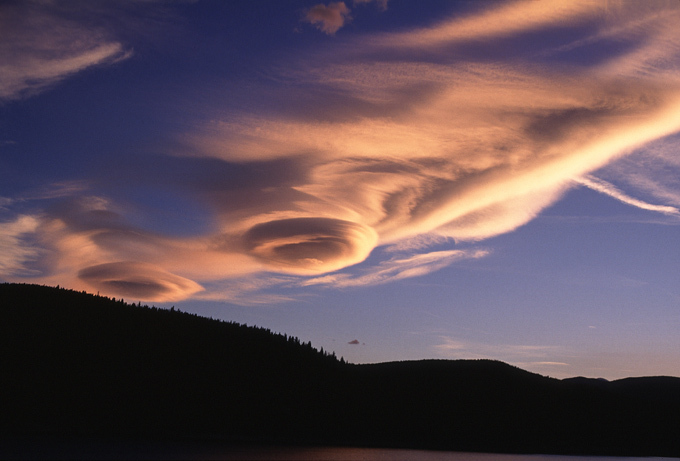 Check out this album of unusual and fascinating cloud types. Some of them are eerie, others are downright nightmarish, and they are all beautiful. I had dinner at a restaurant called Redwood in Bethesda this evening with my friend Deb. They served me this very elegant and beautifully composed Niçoise Salad, which I enjoyed very much after I picked out all the olives. The dark is growing longer, and swiftly, now. Day shortens, the cold comes in, and mortality is in the air. 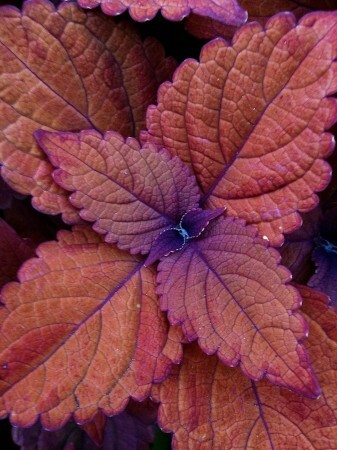 There is a consolation, however, in the brief and intense color of the season. The person who designed this wheel clearly had an eye for beauty. Look at it, it’s just gorgeous. The desire to make a mechanical device aesthetically pleasing as well as superbly functional is a gift to the world. It brings delight to the person who acquires the motorcycle. It gives joy to the passer-by. I would imagine that God in heaven is also pleased. In some meaningful ~ but hard to measure ~ way, this act of good design makes the world a better place. I saw so many beautiful things on my walk today that I was hard pressed to pick one to share. (In fact, I will probably keep a whole slew of them in reserve for days when I fail to be sufficiently beauty-aware and need a back-up.) I chose this lady because I saw her twice on my walk, once on the way out, once on the way back. I happened to have my camera in hand the second time and took this snapshot. It doesn’t do her justice, but please note the fabu glasses, the put-together ensemble, and the way she is striding forward purposefully. I can only hope I make such a good showing in the world twenty years from now. This is an animation is a view of the Galactic Core made from a mosaic of 88 images taken by NASA’s Chandra X-Ray Observatory. Learn more here. 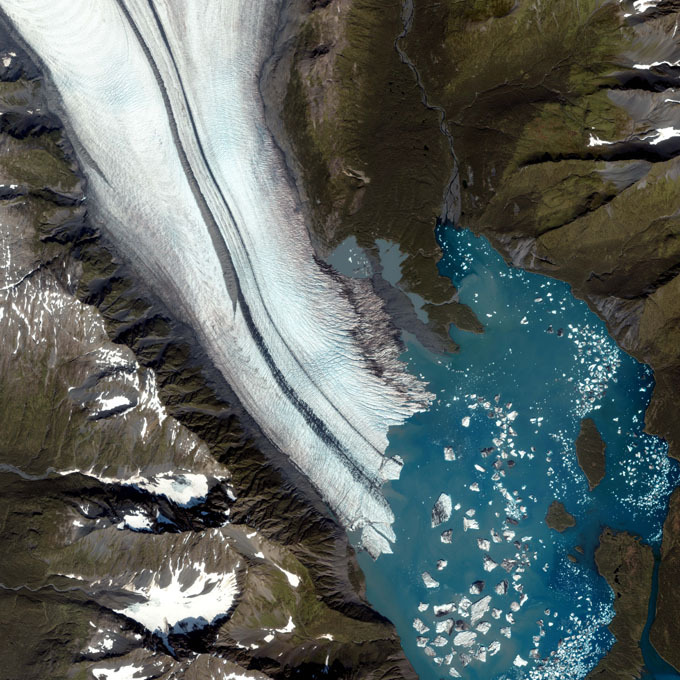 Amazing satellite photographs of glaciers. See them all in this Wired article. 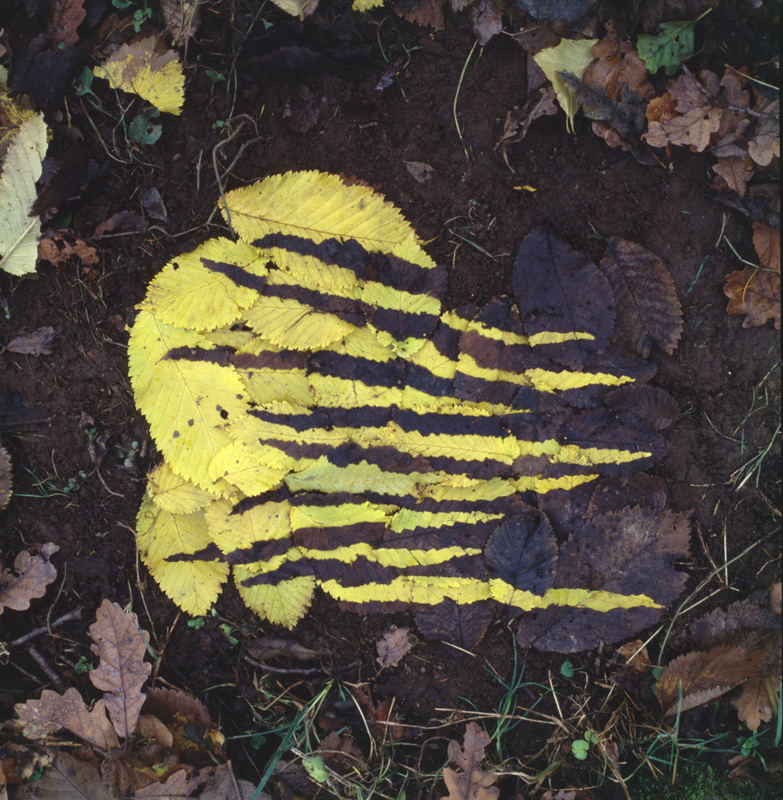 Andy Goldsworthy is one of the most astonishingly creative and elegant of “environmental artists.” Please visit this digital catalog of his work. He has also published some wonderful books.